Renewable Tencel fibres wick away moisture whilst providing a marvellously soft touch. An easy drop shoulder, soft pleated cowl neck line and cap sleeves reaching just above the elbow, gift this versatile travel top with an elegant silhouette. Spandex adds a hint of stretch to this stylish and super-comfortable knit. With quick dry fabric, 50+ UPF protection and with hollow core polyester adding warmth, this versatile travel top has you covered outdoors and in. 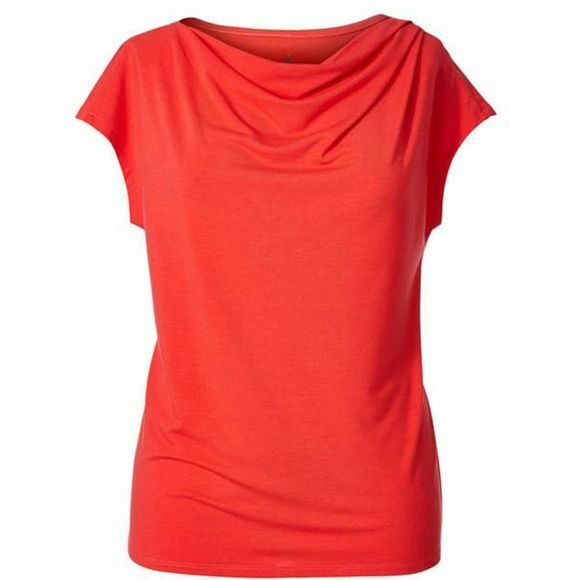 Lightweight and wrinkle resistant, the Women's Essential Tencel Cowl Neck from Royal Robbins is the perfect easy pack item.